A few weeks ago I was back in Canada for a few days and had quite a bit of rare free time early in the morning to listen to a workshop I’ve been enjoying. The topic on this episode was about maintaining one’s spiritual condition, and they said something I just loved, which is that you can’t coast uphill, only downhill. The point was that often in life we work really hard in pursuit of a particular goal, and then when we achieve it, there’s a tendency to think we can just rest there, stop all the effort, and continue to enjoy the fruits of all that labor. We call that coasting, but as the speakers remind us, you can only coast downhill. In other words, once you stop working, you stop growing, and once you stop growing, you start dying. You know sometimes you hear something and it’s like it was made just for you in just your situation? This was one of those times. And I especially love it because it works for me in so many areas of life. Obviously in terms of spiritual growth, all the benefits I receive from the praying, meditating, and rigorous honesty will slowly (or quickly) disappear if I don’t keep doing the work. I can’t stay serene on yesterday’s actions, only today’s. I also see a tendency in myself to coast when it comes to my health and fitness. I can adhere to a clean and healthy diet with some excellent workouts and then once I start seeing results, I feel like I can stop and keep the results. I’m not sure why I have to keep repeating this experiment – maybe writing about it will cement it into my head…you only coast downhill – back to where you started. This is also true for us as leaders. We laugh about the Peter Principle (at least, my age peers do), which is the concept that people rise to the level of their incompetence. I don’t know about that, but I have seen time and time again leaders who assume they’ve arrived and so stop doing the things that made them awesome and promote-able in the first place. Things like self-development activities, learning, asking their team what they need. And once those behaviors stop, there’s definitely some coasting…downhill. That’s when people report feeling burned out, and when their bosses or subordinates notice that they’ve changed, somehow. I know our brains are wired to conserve energy, so maybe that’s why we’re intrinsically predisposed to coast, but today I’m challenging myself to dig in and keep getting better. Not because I want to be perfect, but because I don’t want to end up where I started. And for all you all or nothing thinkers out there (guilty), this doesn’t mean you have to sign up for another degree or take on something huge. Small steps are still progress; still movement; still keeping you from coasting. So read a book that gets you thinking, maybe listen to a podcast, watch a TED Talk. There are a lot of small things you can do to keep yourself fresh. I, for example, have just started reading Fierce Leadership, by Susan Scott (She wrote Fierce Conversations, which I loved). If you have more capacity or want faster growth, there’s coaching, peer groups, classes…the list has as many possibilities as you do! I’d love to hear what you’re doing right now to keep growing. Or what you’re committing to do. And as always, if you liked this article, please share the love, and join my newsletter for additional tips and special access to some of the leadership and management tools I’ve developed. Carrie Maldonado, is an organizational development consultant, author, and speaker. 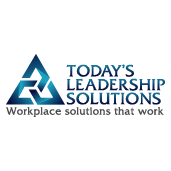 Today’s Leadership Solutions is a Seattle-based consulting firm dedicated to providing business owners peace of mind and job fulfillment by ensuring their management teams are equipped to run their businesses successfully. With certified executive coaches, organizational development experts and HR Professionals, we consult with small to medium sized businesses on management, leadership, and recruiting solutions in addition to providing career coaching to managers and executives in transition. We can be reached for consultation at info@todaysleadershipsolutions.com.